Using the largest tip, air-fill the Bubble™ balloon using the Mini Cool Aire® Dual Pro™ Inflator on high speed. Using the hand-pump, inflate four of the 11" latex balloons (10 pumps each). Hand-tie into pairs and then the pairs together to form a quad. Next, using the hand-pump, inflate the last four 11" latex balloons (5 pumps each). Hand-tie into pairs and then the pairs together to form a second quad. 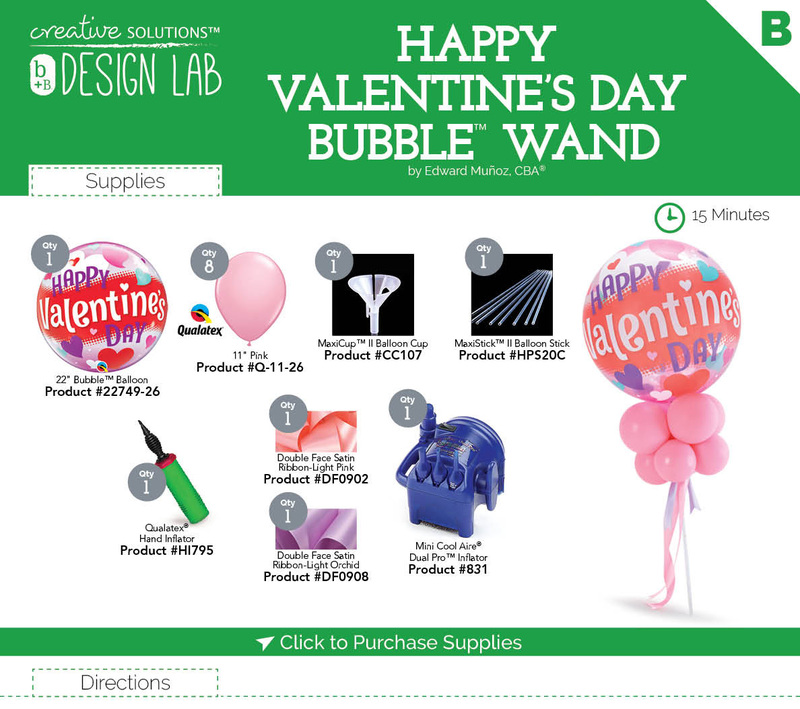 Twist the larger quad onto the balloon stick first until it's up against the Bubble™ balloon. Next, twist the smaller quad onto the balloon stick until it's in the proper placement, up against the first quad. Cut a 24" length of each ribbon. Place both pieces together, weave the ribbon through the second quad and around the stick until both ends are even, and tie a knot, creating 4 ribbon tails. For each of the ribbon tails, fold in half lengthwise and cut at an angle (outside edge longer than inside edge).